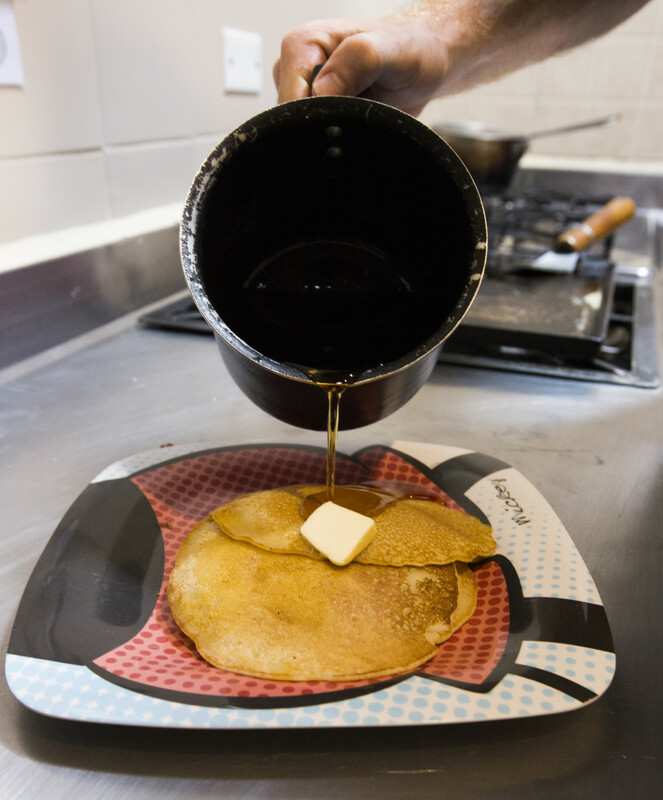 We have a full equiped kitchen (with 4 stoves, 1 microwave, Fridge/Freezer and storage) which is opened from 7am until 11pm. 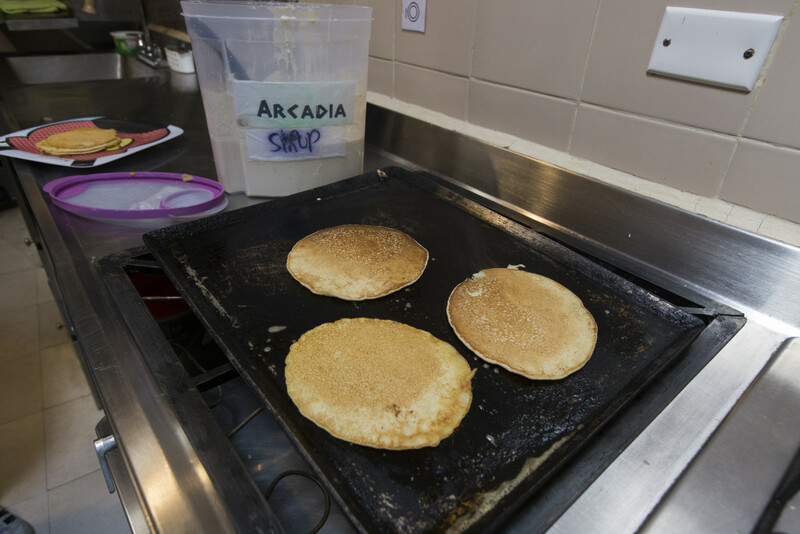 Every morning, from 7:30 am until 11am, is the free breakfast with do-it-yourself pancakes and coffee. Please, make sure to clean your dishes after use. Spyros, the founder of Arcadia, was born and raised in Greece but always had a thing for travelling. He arrived in the City of Eternal Spring in 2008, expecting to stay there a mere couple of weeks, a common misjudgement of travellers. 4 months later, like many others, he knew that this was the place for him so he set about putting together his travelling experiences (and the money!!) and get started on his own little paradise which he would share with others travellers. After getting the perfect spot, sorting through the paperwork, chasing builders, carpenters, electricians and bureaucrats, he sat down and had a long think about a name for the place. True to his roots, he thought of the perfect name for his and the travellers' passing by, his own slice of heaven on earth, Arcadia. Each room is also named after a Greek myth to reflect the ambiance of the room, you can find the explanations for each on the room pages. The region was named after Arcas (Ἀρκάς), the son of Zeus and Callisto. Callisto was a nymph of the goddess Artemis. Zeus, being a flirtatious god, wanted Callisto for a lover. As she would not be with anyone but Artemis, Zeus cunningly disguised himself as Artemis and seduced Callisto. The child resulting from their union was Arcas. Hera (Zeus' wife), became jealous, and in anger, transformed Callisto into a bear. She would have done the same or worse to her son, had Zeus not hidden Arcas in an area of Greece that would come to be called Arcadia, in his honor. There Arcas safely lived until one day, during one of the court feasts held by King Lycaon, Arcas was placed upon the burning altar as a sacrifice to the gods. He then said to Zeus "If you think that you are so clever, make your son whole and un-harmed." At this Zeus became enraged. He made Arcas whole and then directed his anger toward Lycaon, turning him into the first werewolf. Copyright 2015. 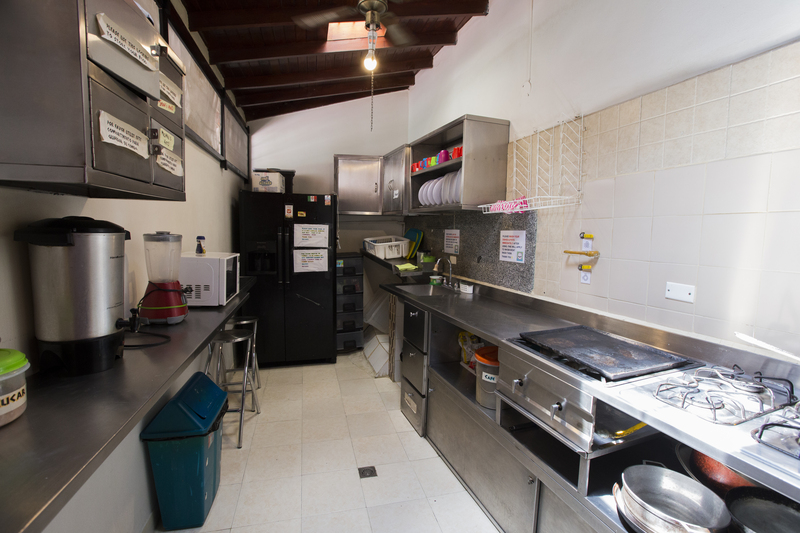 Arcadia Hostel Medellin Colombia. All Rights Reserved.